Florida medical marijuana patients have different requirements than patients who get prescription medication at a pharmacy. These patients are subject to different evaluations and state registrations to ensure compliance on both the patient and physician end. 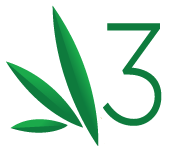 At THC Physicians, we specialize in medical marijuana evaluations and are here to walk you through the entire process. We are your first step in obtaining a Florida medical marijuana card, so it is important to understand the steps before diving right in. In order to qualify for medical cannabis in the state of Florida, you first have to visit an authorized physician who will conduct a comprehensive evaluation to determine if medical marijuana may benefit you. Next, the physician will make an assessment, based on your condition, of whether medical marijuana is beneficial to you. The state has provided a list of chronic conditions that are common under eligibility but others that are comparable in class or kind can also be acceptable. Once this is approved by your physician, he or she will make a recommendation for medical marijuana and establish a medical care plan for your specific ailment. Finally, once you have your medical marijuana recommendation, your physician will register you with the Florida Department of Health’s Compassionate Use database. This will allow you to obtain your medical marijuana from a dispensary licensed by the Florida Department of Health. Is Medical Marijuana right for me? How long has this been affecting you * Choose Range	Less than 1 year	1 to 3 years	3 to 6 years	6 to 10 years	10 to 20 years	"As long as I can remember"
Who Qualifies for Medical Marijuana in Florida? Be a resident of the state of Florida. Be 18 years of age. Be diagnosed with a chronic medical condition approved by the Florida Department of Health for medical marijuana use. Be diagnosed with a chronic medical condition comparable in kind or class to those approved by the Florida Department of Health for medical marijuana use. What are the Florida Department of Health Approved Chronic Conditions? Physicians have the right to exercise their medical judgment in recommending medical marijuana for patients that suffer from chronic medical conditions that are not on the list but are comparable in class or kind. Does my health insurance cover the costs associated with Medical Marijuana in Florida? Health Insurance does not cover medical marijuana services or products. 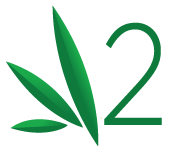 First, you’ll need to be evaluated by a medical marijuana physician that is qualified to order medical marijuana. This includes making an in person visit to the physician’s office. Once you are there you’ll be required to fill out a few standard forms that will be made part of your medical record. The physician will then complete a comprehensive medical evaluation to determine if medical marijuana may benefit you. Second, once the physician determines that your chronic condition meets the Florida Department of Health requirements for medical marijuana use he or she will make a recommendation for medical marijuana use and establish a medical care plan on your behalf. This is similar to writing a prescription. 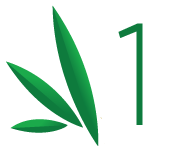 Third, now that you have been recommended for medical marijuana use the physician must register your name and information with the Florida Department of Health’s Compassionate Use data base. This will allow you to obtain your medical marijuana from a dispensary licensed by the Florida Department of Health. The recommendation, medical care plan, and registration are required by the Florida Department of Health. These services are included in the cost of your initial visit and follow-up visits.